~~I had something happen yesterday that knocked the wind right out of my sails. Everything's okay. It was just one of those life things. So I cried a little, then picked myself back up and made cookies; cappuccino biscotti dipped in dark chocolate. If that doesn't make you feel better than I'm not sure what will, lol. ~~I'm so thankful to know that God is always in control. Life has felt a little out-of-my-hands lately. But I've had this lesson so many times before and I know that I simply need to put it all in God's hands and trust. It also helps if I can keep things in perspective. Last night I was enjoying eating cookies with my 3 Lovies and feeling so thankful that we're all getting back to good health. ~~My sweet friend Charlotte is having her baby today. I'm so excited for her. If you will, say a little prayer for her that things will go smoothly. Place in mixing bowl. Set aside. Blend together in bowl of electric mixer. Add liquid ingredients. Mix until smooth. Place dough on cookie sheet that has been sprayed with non-stick cooking spray. Press dough together and roll into an 18 inch log. (I had to cut it into 2 pieces to fit on my cookie sheet.) Flatten roll to 1-inch thickness. Bake at 350 degrees for 30 minutes. Let cool 10 minutes. Cut into 20 diagonal slices and place cut side down on baking sheet. Reduce oven temp to 325 degrees and bake 10 minutes. Turn cookies over and bake an additional 10 minutes. Fix your favorite coffee. Dip biscotti in and enjoy! I'm sorry you had a rough day! That biscotti looks fabulous. I will try it this weekend! Sounds like you had a perfect plan in place to pick yourself up - the making of those gorgeous looking biscuits. Your picture (so creative) is making my mouth water - they look delicious. I can't wait until you're ready to share this latest piece you've been working on. You've got me very intrigued and excited to see it!! Sorry you've had a rough time but so happy to know that you are putting God in control! Can't wait to try the Biscotti! Being creative banished the blues, maybe? The biscotti looks great .. and good. This looks delicious! 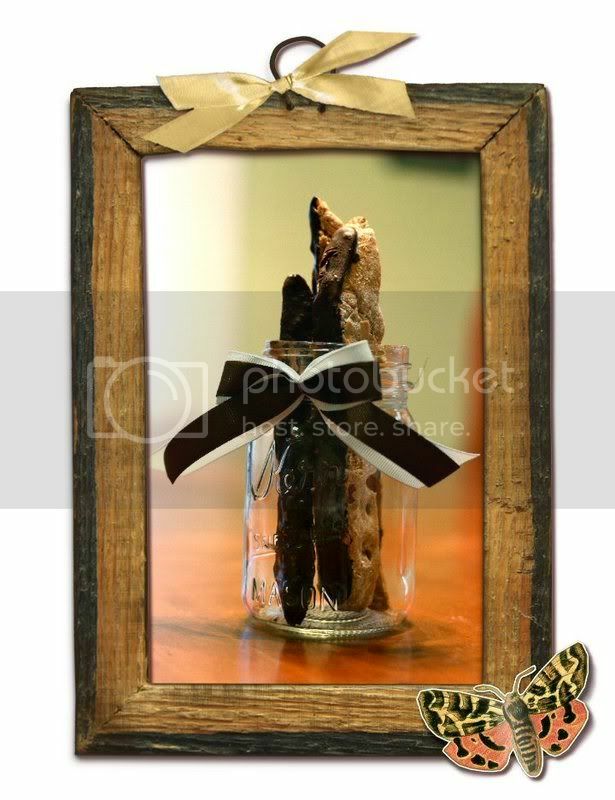 We just love biscotti with out tea time, but we have been neglecting it for some time now. You have inspired me with this recipe :) I have been away from the blogs for some time now dealing with "me issues" and I see I have missed many wonderful posts on here and the chance to be encouraged by your sweet approach to living life, I'm thankful for you and your blog Kasie. God Bless you!